THERE WAS A TIME WHEN EVERYONE VALUED THE CALLUSES MORE THAN THE TWEETS. You would measure your day by what you had built, grown or made and it might be something you’d pass down a generation or two. We’ve forgotten this. Most don’t think they can do things anymore. It’s time to remind people that they are Able. We just want to make stuff. That is the impetus for the Seedhouse. The start of Able. We literally, and figuratively, started by planting one seed. That one seed turns into many. As we grow the Seedhouse, we’ll also be growing new markets, growing our farmer networks, and growing a local business. 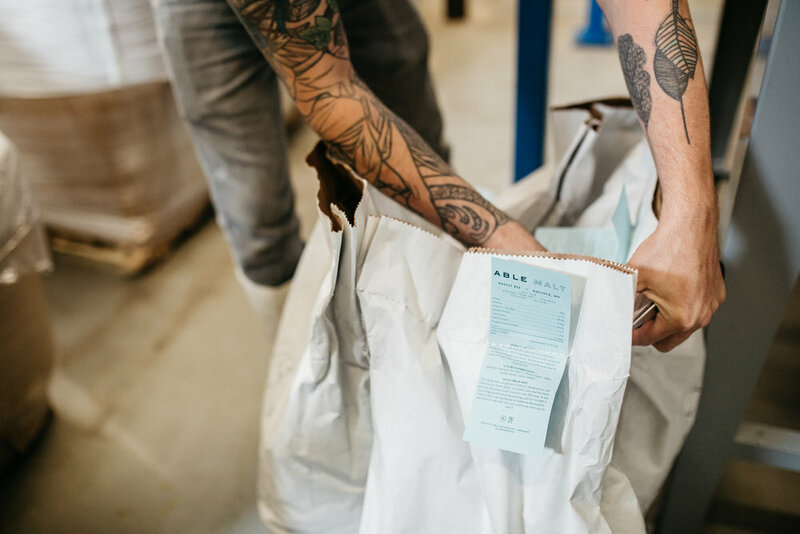 We work with Minnesota small grain farmers to source our seeds, bring them into the Seedhouse, malt them on premise in our half-ton malting system, and try to make limited, small production beers with that malt.